Three years after the deadline for national transposition of the Cross-Border Healthcare Directive in Member States (2013), patient mobility for planned healthcare remains low. Relatively few patients have used the Directive to receive treatment abroad, despite the fact that the last Eurobarometer of the EU Commission (September 2015) showed that they would like to do so. Also, serious concerns regarding a proper and satisfactory implementation of the legislation persist: low awareness among EU citizens of patients' rights to cross-border healthcare, complicated systems of prior authorization, little or denied reimbursements, lots of administrative requirements, disparities between National Contact Points in the way they operate and with regard to the information they provide. This clearly demonstrates that there is a need to enhance the quality of information addressed to patients in order to make them aware about their rights to cross-border healthcare. At the same time, it is essential to work together to realize its full potential and make it a true added value for all citizens and patients living in the EU. During the last conference on cross-border healthcare held by the EU Commission1, Health Commissioner Vytenis Andriukaitis emphasized the importance of this legislation for patients' rights and called for further work to improve patient information and National Contact Points coordination. The Commissioner also underlined the importance of enhanced cooperation with patient organizations, healthcare providers and insurers to overcome the main obstacles to a proper implementation of the Directive 2011/24/EU. Last but not least, he highlighted how “the Directive provides a framework for a number of areas where cooperation across borders might form part of the solution to the eternal problem of how to do more with less”. Cross-border cooperation will help make better use of resources that exist just across the border. Indeed, the Directive 2011/24/EU encourages cross-border collaboration in healthcare provision and has set several cross-border initiatives as, for example, the establishment of the European Reference Networks to bring together highly specialized healthcare providers and centers of excellence from different Member States. The European Reference Networks show how cooperation between health systems can help patients suffering from a rare and complex disease by pooling expertise from across different EU countries. 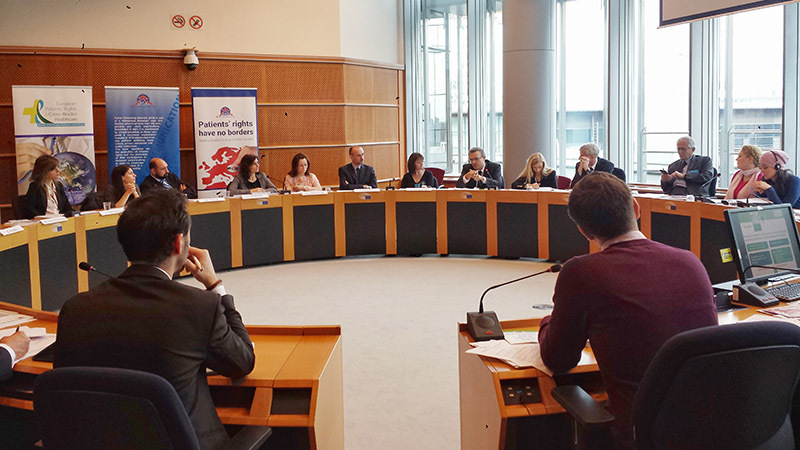 The meeting was an open debate between civic and patient associations from different Member States, experts in the field of civil rights, Institutional representatives from the European Parliament and the European Commission, National Contact Points and several stakeholders at EU level. During the meeting the necessity and benefits of fostering cooperation among Institutions, patient organizations, National Contact Points and European Reference Networks to improve patients’ awareness and access to care abroad was thoroughly discussed. 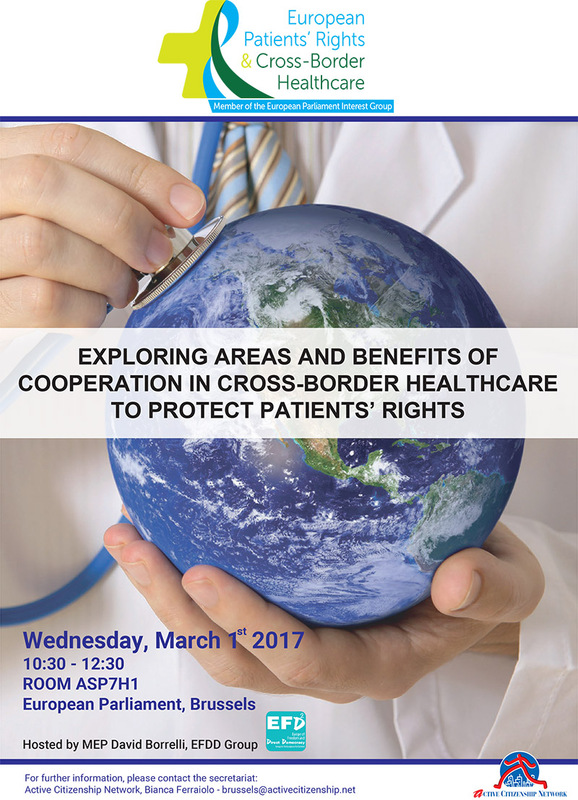 They also shared case histories, experiences and common challenges related to cross-border healthcare.